Brian LaSaga was born in St.Teresa's, Newfoundland on November 1, 1955, and moved to St. George's, Newfoundland in 1965. Brian's journey as an artist began when he was very young. He has always been a very visual person and with no formal training, art is more instinctual, full of discovery and experimentation which has continued with him today. Being somewhat of a perfectionest, Brian has always remained faithful to his subjects, and his imagery. Although he has experimented with watercolours, gouache, egg tempera, and oils, the artist soon realized that acrylics suited his style and technique. Today he paints primarily with acrylics on masonite panel, and prefers acrylics because they dry faster, and this allows him to layer rather quickly. His work is greatly influenced by nature, and feels that he is just a student and instrument of nature. Brian's subjects often include rural settings, weathered textures, landscapes, seascapes, and sometimes he may incorporate figures or some form of wildlife into his work as an extension of nature. The artist prefers to paint familiar experiences and subjects indigenous to his area. An area that he feels is raw and sacred. The artist's main interest is in capturing the essence of his chosen subject. Brian's studio is located in his hometown of St.George's, Newfoundland. The island of Newfoundland is Canada's most easterly destination and offers the artist a sanctuary for his work. It has many rugged coastlines, rivers, forests, wildlife, ponds and marshes. It has also been the inspiration for Brian's work for over 30 years. 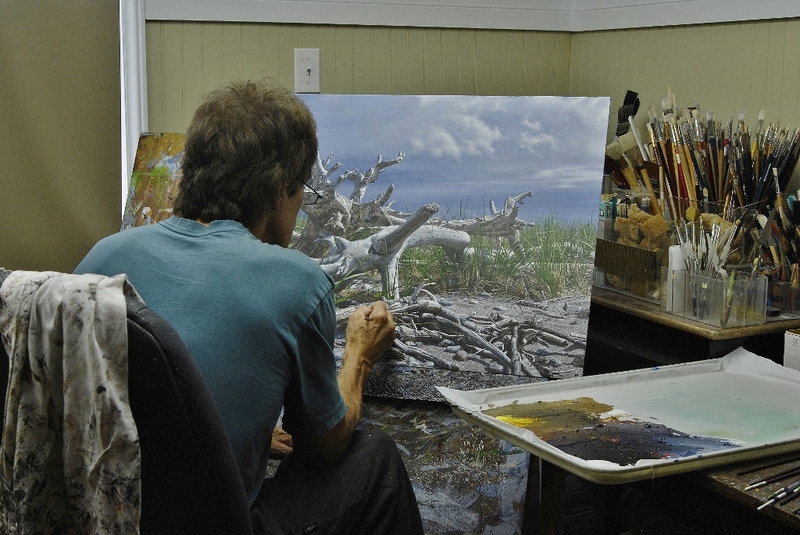 When not in his studio, he can be found hiking, kayaking or making field trips to gather material for his paintings. Many of his works hand in corporate, public and private collections in Canada, United States and Europe.